In recognition of the International Day of Tolerance, we’re sharing this article written by Daniel Smrokowski, Special Olympics Illinois Athlete, for the Special Olympics 50th Anniversary Kick-Off Events. Many self-advocates in our special needs community, myself included, are redefining what it means to have special needs. This year, as we celebrate the 50th anniversary of Special Olympics, let us reflect on what it means to have special needs and what redefinition of special needs can mean to the mainstream community. Together, as we lead the inclusion revolution, we can help to bring full inclusion to society at large. I recently participated in a 50 for 50 countdown athlete video series produced by the Chicago Sun-Times in partnership with Special Olympics. I, along with 49 other athletes and volunteers within the SO movement talked about how Special Olympics is changing lives. Since the first Special Olympics games in 1968 at Soldier Field in Chicago, the movement is creating a future of unification—those with and without disabilities working together on the same team. One year prior to this year’s 50th Anniversary celebration of Special Olympics, a press conference took place to ignite the global celebration. Jason Benetti, announcer and voice of the Chicago White Sox, remembered covering the 2015 World Summer Games in Los Angeles. Special Olympics is “a place where choosing to include isn’t even an option, people are just included,” Benetti recalled. The future of Special Olympics is one where SO athletes are moving off the athletic field and into the workplace. Since becoming an SO athlete leader ten years ago, I have founded Special Chronicles, a nonprofit that gives respect and voice to people with special needs. Through podcasts, speaking and stories, I have created a platform for those of us with disabilities to be understood and accepted by the mainstream community. Another example is Daniel Olsen, a fellow athlete from Illinois who created the Ability Marketplace, to create jobs and opportunities for people with disabilities. Special Olympics is truly creating a place where those of us with disabilities can lead the general public to live more healthy and productive lives. Take Kiera Byland, an SO athlete leader from Great Britain. Kiera is a triple gold medalist in cycling. She has hosted an inclusive health video where she and her fellow SO athlete leaders are encouraging the public to use the Special Olympics Fit5 health guide. Another impressive fellow SO athlete leader I’ve met is Hanna Atkinson from Colorado. Hanna has participated in alpine skiing, unified basketball, swimming, and currently cycling. In winning a regional Emmy award with the Denver ABC7 broadcast team and being an SO Health Messenger, Hanna hopes to start her own business to inspire acceptance, to spread joy and kindness, and to empower others to live each day fully. Follow my podcast coverage of the Special Olympics 50th Anniversary celebration. Join my fellow Special Olympics athlete leaders in leading the inclusion revolution. Let’s celebrate the joy that those of us with disabilities bring to our world. Daniel Smrokowski was born three-and-a-third months premature and was diagnosed with learning disabilities and a severe language disorder. 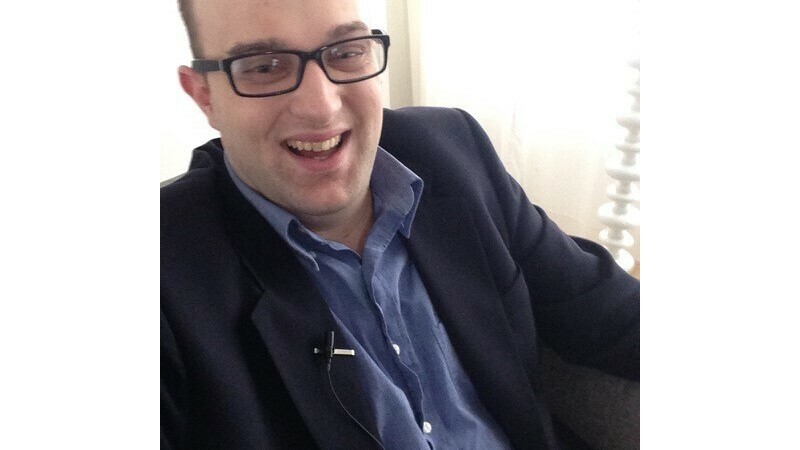 He is an award-winning columnist covering special needs stories. Daniel is the founder of Special Chronicles, a nonprofit media platform that gives respect and voice to people with special needs. 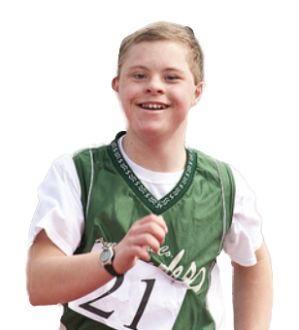 Daniel is also involved as an athlete, global messenger and board member with Special Olympics Illinois. Come join us at www.SpecialChronicles.com.